Kosher Castle will be opening up a second location. The new Wesley Hills eatery is taking over the former Subaba location. 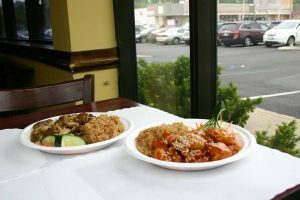 The restaurant serves a variety of egg rolls, dumplings, won tons, wings, and more for appetizers. Customers who want to order a chicken dish can choose from Lo Men, Garlic Sauce, Moo Goo Gai Pan, Sweet & Sour, Cashew, Mongolian, and a whole lot more. Beef lovers can order Sesame, Crispy, Chow mein, Chinese rib steak, and others. The menu also has Mexican section where they feature different types of burritos, nachos, guacamole, tacos, and fajitas. Sandwiches, deli, chulent, and other dishes are also available to order. Hours of operation at the Route 59 location are Sunday-Thursday from 11:30am-11pm. Kosher Castle is kosher certified by Rav Yechiel Shteinmetz.